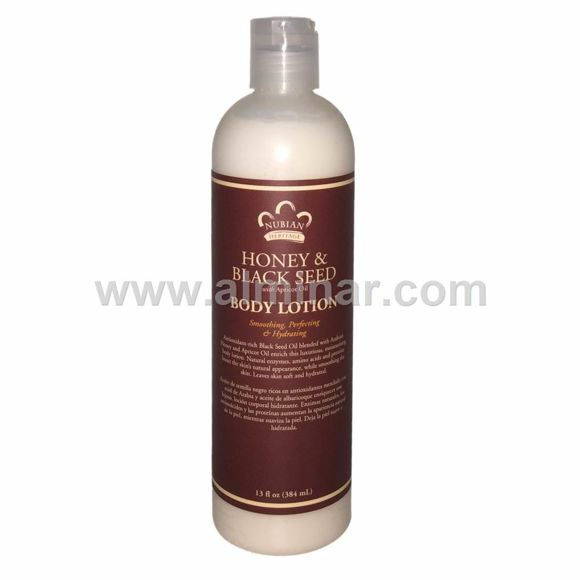 Full Description: Antioxidant-rich Black Seed Oil blended with Arabian Honey and Apricot Oil enrich this luxurious, moisturizing body lotion. Natural enzymes, amino acids and proteins boost the skin’s natural appearance, while smoothing the skin. Leaves skin soft and hydrated. 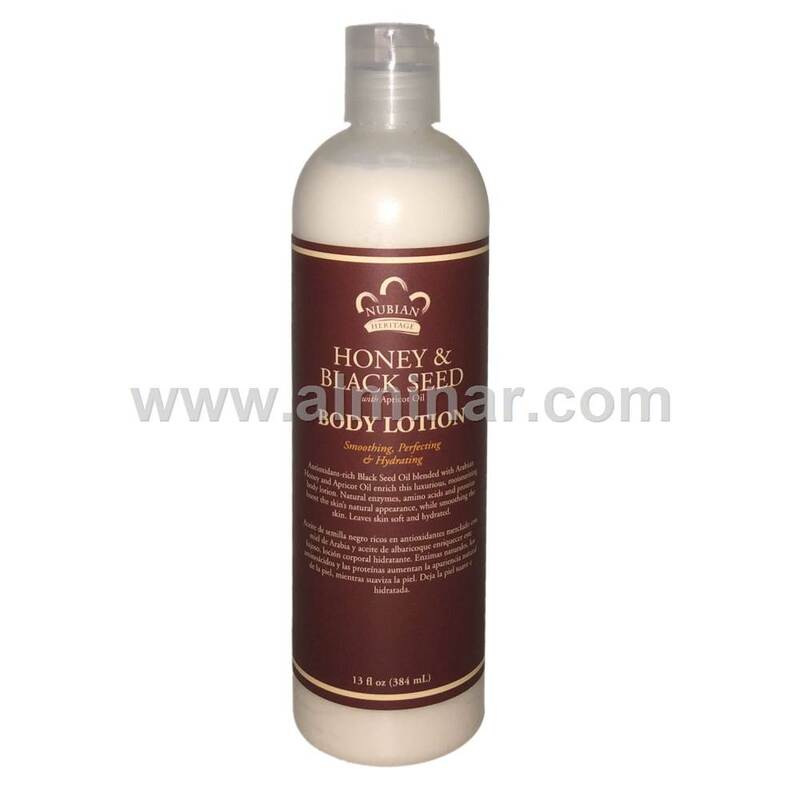 Manufacturer: Nubian Heritage, Sundial Brands LLC. Manufacturer Comments: Black Seed Oil, Nigella Sativa, can be traced back more than 3000 years to the Assyrians and ancient Egyptians. Discovered in the tomb of King Tutankhamen, Black Seed Oil was reportedly used by Queen Nefertiti to maintain her exquisite complexion. Black Seed earned the Arabic approbation "habbatual barakah" the seed of blessing for its powerful properties. Honey has been used traditionally to comfort and soothe skin. Warning: Natural ingredients may vary in color and consistency. If irritation occurs, discontinue use.